What is the purpose of attic ventilation? Why do we insulate our attics? You may think that these were two completely different questions with two completely different answers; however, they are actually more related than you may think. During the warmer months, ventilation helps keep the attic cool; alternatively, during the colder months, it reduces the moisture within the space to keep the attic dry. This leads to protection against damage to materials and the structure itself; thus, providing comfort both in the form of physical comfort as well as peace of mind. Insulation also provides similar benefits. We insulate the attic to reduce the energy load driving into the home in the warmer months, but we also install it in our roofs and walls to ensure that we don’t lose heat during the winter months as well (note: but don’t forget to air-seal!). 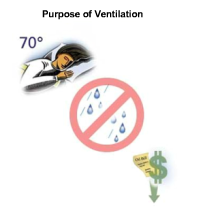 Energy savings is clearly a benefit and a reason why we would want to use ventilation or insulation in the attic; however, preventing moisture issues is actually another critical reason. It is great to save money; however, it doesn’t help us if that savings is limited due to the fact that we have to pay for it down the road in the form of a major repair. 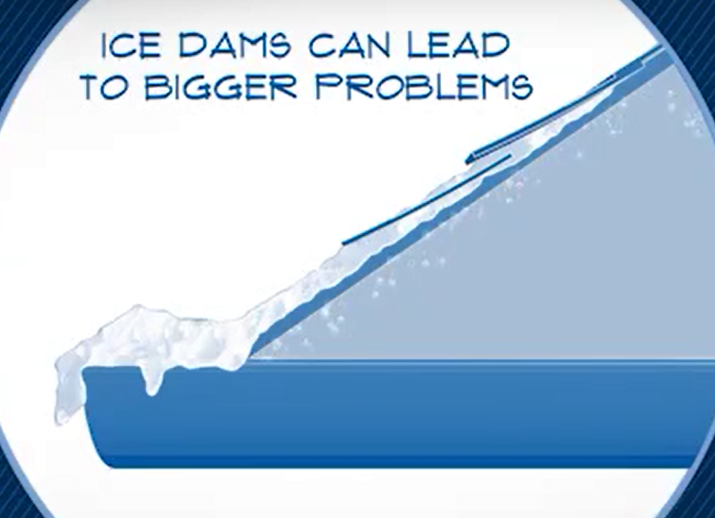 With that in mind, one of the biggest moisture-related issues for an attic system is ice damming. That being said, with a properly designed attic system that issue can be a thing of the past. Moisture and the mechanisms that transport it are some of (if not the most) impactful forces within a building and they can lead to significant repairs. Looking at it from the builders point-of-view, an average builder can spend anywhere from $500 to $1500 per home in moisture-related callbacks. Many builders are also averaging up to 11-20% in callbacks per year as highlighted in a recent Building America Study. At these rates, a large production builder could be averaging 50-100 callbacks per year at up to $150,000. With the current labor challenges and changes in energy efficient construction, these callback costs will be all but guaranteed to increase. The big question is: can you afford to continue to put you and your business at risk? 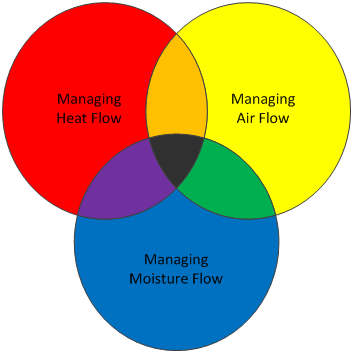 Back in the fall of 2016, I touched on the three key principles of building science: heat flow, air flow and moisture flow. As we are highlighting here, moisture flow is certainly one that cannot be neglected. The attic is another critical area where each of these needs to be balanced to optimize the performance of the attic system. Ice damming is quite simply a build-up of ice on the roof. As heavy snow accumulates on the roof, the warm air within the attic begins to melt the snow from underneath. 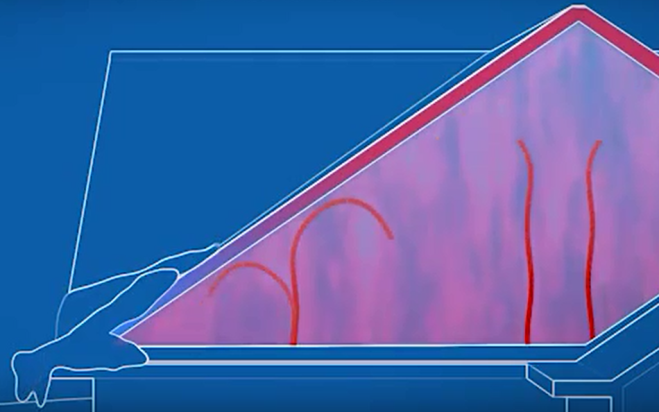 The only direction for this snow melt to go is down the roof where it travels to a point where it becomes cold again…the point at which it refreezes. This is generally on the eave of the roof beyond the exterior wall (the coldest part of the roof). This cycle continues over and over again until you are left with, in some cases, a severe ice dam. What is not so simple is the impact for not accounting for ice dams—it can be catastrophic. Damaged roof components (gutters, fascia, etc. ), soaked insulation, water entering the wall cavities and mold and mildew are just a few of the major consequences due to ice dam formation. However, fear not! These issues can easily be managed with a good attic design. Air-sealing the ceiling plane, providing adequate levels of insulation and ventilating the roof sheathing can play a huge role in minimizing the potential of an ice dam forming on your roof, as a key reason that they form is due to heat build-up within the attic. If you can minimize or eliminate the build-up of heat within the attic that is contributing to the snow melt, you can minimize and potentially eliminate the risk of ice damming on your roof altogether. Also keep in mind that we at CertainTeed are here to support you, so feel free to reach out to your local representative anytime and we can help you put an end to ice dams. This article was taken from the Certainteed Blog. Here is the original article with more resources.